Women who desire to live their lives demonstrating unshakable faith are frequently found throwing around the anti-anxiety verses: “Be anxious for nothing… I can do all things through Christ… I will never leave you or forsake you…” (Philippians 4:6; Philippians 4:13; Hebrews 13:5). These appear as a quick fix for the swirling emotions that often decry the freedom we are told we find when we enter a relationship with Christ. As wonderful as those verses are, they aren’t a miraculous cure to our many anxious thoughts, or the paralyzing feelings that surround us. This often leads to defeat and discouragement. Surely we must not have enough faith or are in some way an inferior Christian. Even if we conquer one layer of anxiety, embracing the newfound freedom from whatever situation we are in, we will be surprised to realize there may be another layer yet undiscovered. As wonderful as those verses are, they aren’t a miraculous cure to our many anxious thoughts, or the paralyzing feelings that surround us. 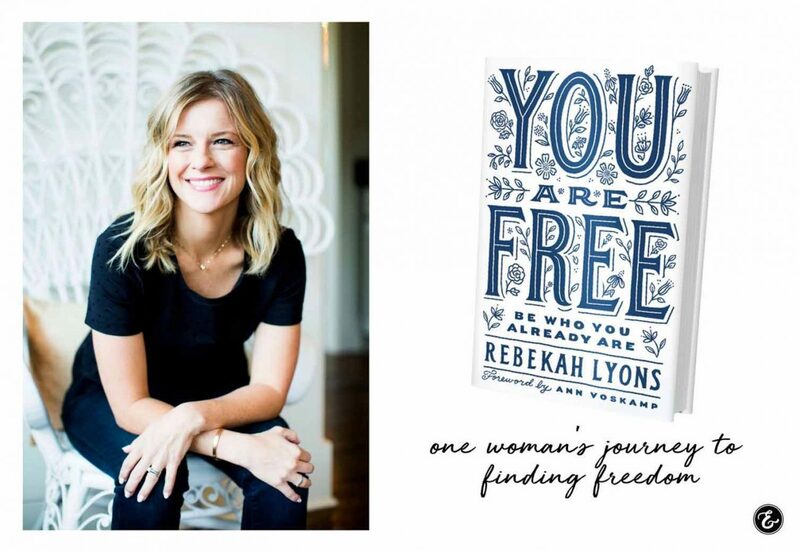 Traversing her own personal journey from anxiety to the many forms of freedom she never even knew were available, Rebekah shares her heart and the discoveries she’s made. In this book, she explores each area of freedom: freedom to be rescued (realizing the need for rescue is not only real but also doesn’t diminish the strength of the one who is rescued), freedom to grieve, to find purpose, to begin again, to find love, and many more. As a great reminder, in the “Freedom to Rest” chapter, she makes a simple yet profound statement that speaks to every woman struggling with feelings of defeat: “God cares more about our presence than our performance.” When we spout the Scriptures that are our quick fix, we must realize that God simply wants our companionship … not what we produce or how we appear to others. He doesn’t need our actions; He wants our heart. If you are struggling with anxiety or battling depression or feelings of defeat, this book is well worth the read. The transparency of the writer is refreshing, and she invites you to walk her journey while she offers hope and answers to many challenges that many women face.